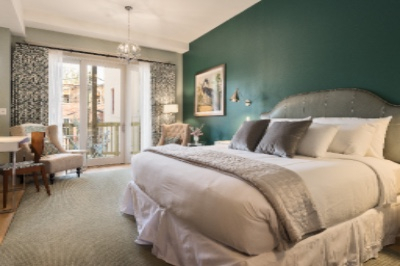 Charlottesville has seen the addition of several new lodging choices over the past few months, including the Stinsons' newly opened boutique hotel - The Townsman (pictured). Tucked away right on the historic downtown walking mall, guests have all the essentials of an incredible location, beautiful rooms, and great prices. Also just opened is the Graduate Charlottesville, which is located on the UVA campus. The national chain curates hotels across the US in vibrant college towns. The goal of each is to celebrate and commemorate the youthful optimism of school days. One bonus in Cville is the rooftop bar, which overlooks campus, and features a wide range of local wines. 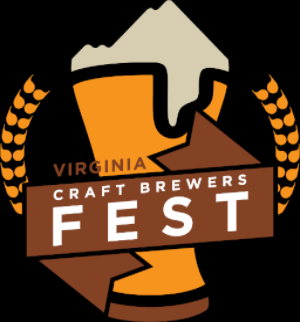 The Virginia Craft Brewers Fest will return to Devils Backbone Basecamp Brewpub & Meadows for the 5th year on Saturday, August 20, 1:30-7:30pm. The day will feature available tastings from over 80 Virginia breweries from 2-7pm, a wide range of food trucks, and live music from 3-7pm. Be sure to buy your tickets in advance if you're planning to attend as the event regularly sells out before the day of. 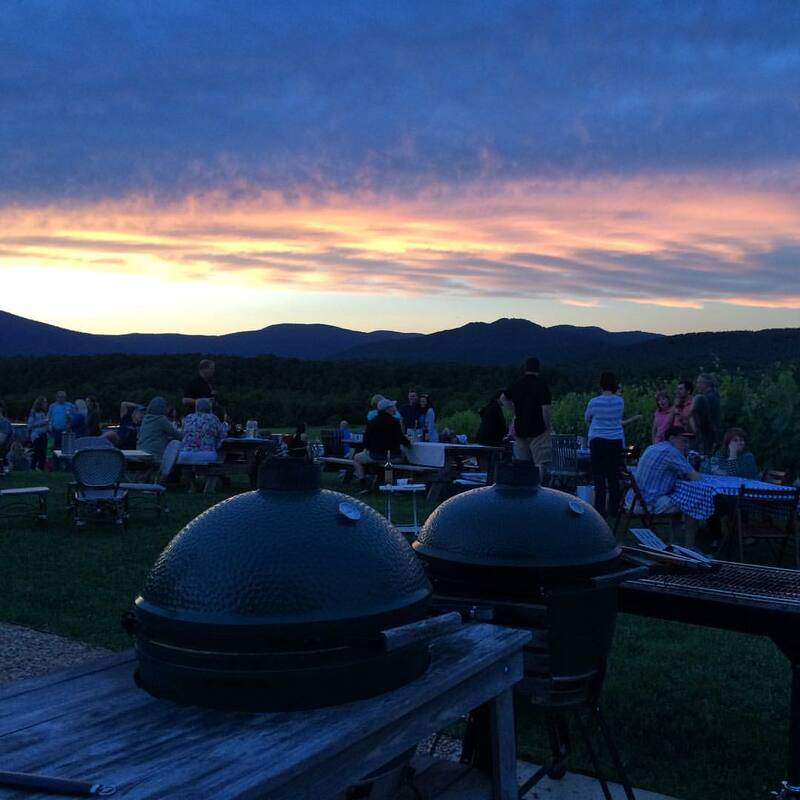 It’s been a good summer for new wineries! Cunningham Creek Winery held their official Grand Opening this past weekend, July 22-24. The winery is part of a 300-acre working farm located a short distance from Charlottesville in Palmyra, VA.
Knight’s Gambit Vineyard, located only a few miles from our tasting room, opened for tastings on their deck last year, but just opened the doors to their new tasting room building a couple of months ago. 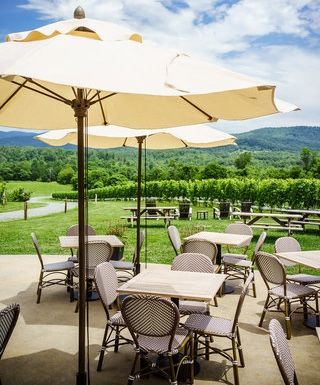 Other recently opened wineries include Valley Road Vineyards (pictured), located on Nelson 151, and reopened Wisdom Oak Winery, located just south of Charlottesville. Please check with each winery for their hours of operation. We have been very busy in the vineyard for the last few months. If you have visited lately, you have seen the amount of vine growth that has occurred since early Spring. The vines have now reached the top of the trellis and are in need of scheduled hedging. These vines want to grow everywhere and it is our job to keep them contained. Too many leaves and too dense of a canopy reduces air flow and aids in the development of mold and mildew. Too few leaves do not allow enough energy to flow to the grapes and results in inefficient ripening. With the help of hedging equipment and skilled hand tending to the vines, we are able to achieve a perfect balance of vine canopy. At this point in the season, the vines are hedged and we have pulled some of the leaves to allow more sunlight to hit the grapes. We have pulled leaves on the Eastern side of the rows, so morning sunlight gently ripens the fruit while the harsh afternoon sun remains partially blocked by the remaining leaves on the western side. This helps achieve acid balance and preserves freshness in the wines. The grapes are also beginning to turn color. 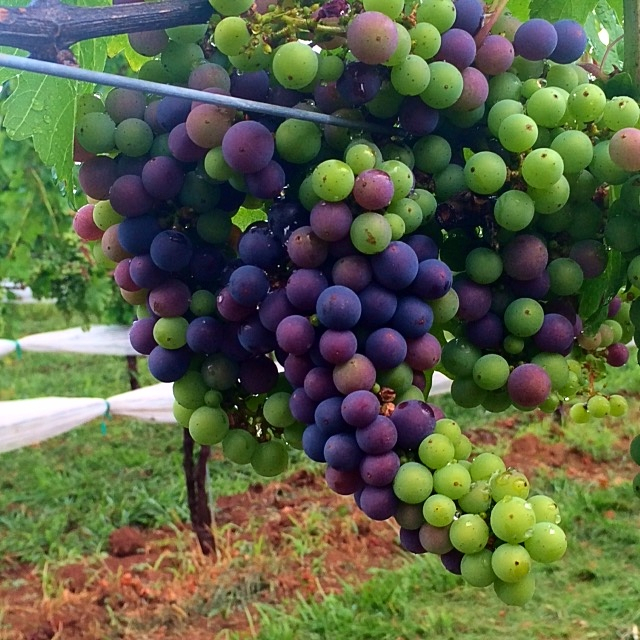 This is known as veraison. 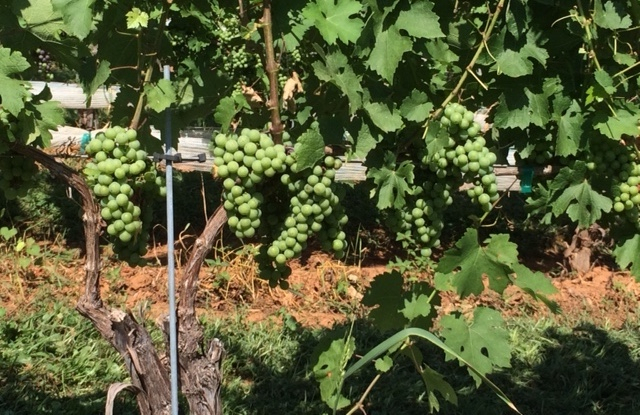 The red wine grapes are starting to turn purple, and the white wine grapes are slowly turning a golden color. Soon we will be removing some grape clusters from heavily cropped vines. This dropping of fruit ensures that each cluster of grapes will receive the energy necessary in order to ripen to the quality we desire. Ashley joined the Tasting Room team this past spring while she was finishing up her 4th year at UVA! Her favorite Stinson wine is the Sugar Hollow White and when she's not working she enjoys trying Charlottesville's many restaurants. 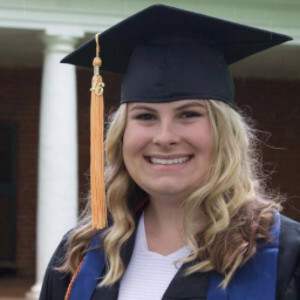 In August she'll begin her nursing career as an RN at the UVA Medical Center, but you'll still see her in the Tasting Room when her schedule allows! If you’ve been out to the Tasting Room this summer you’ve probably noticed the outdoor remodel that as taken place. We've added café tables to the patio, a pergola for some added shade over the long dining table, and a fire pit surrounded by sofas. We think each space provides a unique experience at the vineyard and we hope you'll all be able to enjoy each soon! We’d also like to send a big thank you to the designers at Kenny Ball Design for their vision of beauty and practicality! Our Tailgate Thursday summer music series continues each Thursday, 6-9pm, through September 1st! The grills will be fired up each week so bring food to cook and your best grilling skills. Dogs and children are welcome, and meat from Free Union Grass Farm and The Rock Barn can be purchased and thawed by calling ahead. We provide grill tools, plates, utensils, and condiments. The rest of the music lineup can be found here. Severe inclement weather may cancel the event so please check our Facebook and website for updates. We're also excited to welcome back The Sally Rose Band on Sunday, August 7, 2-5pm. Please note that the grills will not be set up for this event, but you're welcome to bring a picnic to enjoy with a glass of wine on the patio! 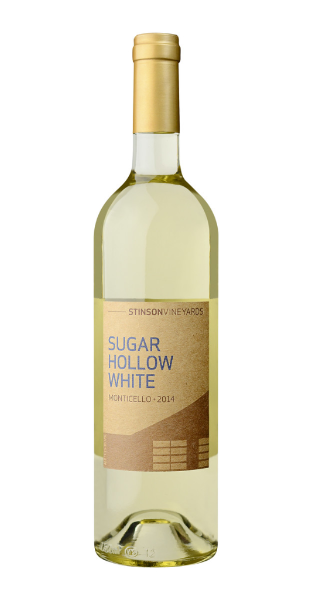 Sugar Hollow White is our go to table wine for the hotter months. 100% Vidal Blanc yields a crisp and lemony off-dry white that pairs with pretty much anything. 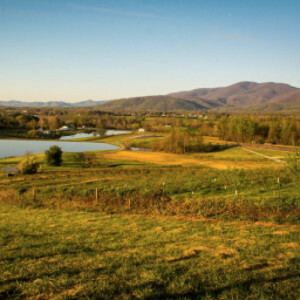 Our Vidal Blanc grapes come from Mount Juliet Vineyards at Grace Estate Winery, directly across from Stinson in White Hall, Virginia. 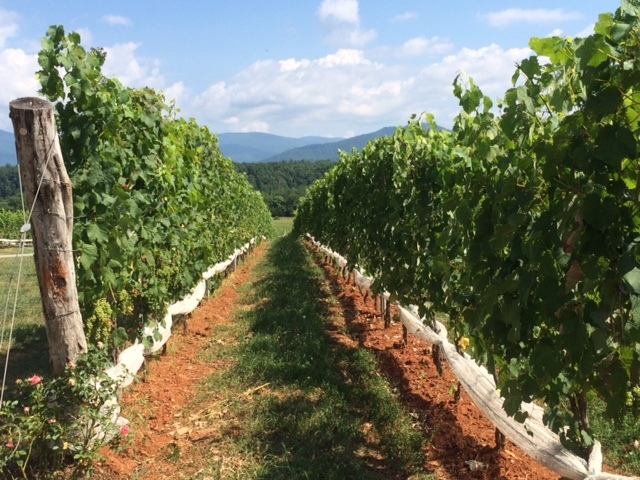 This sweeping 50+ acre vineyard was planted in the late '90s and expresses older vine Virginia terroir. 2014 was an amazing growing year in that it was neither too hot nor too cold, neither too rainy nor too dry. The 2014 Vidal Blanc fruit was flawless as is typical for this hybrid! During the summer, we're always looking for more ways to grill. Recently, we've been inspired by William Rubel's cookbook The Magic of Fire: Hearth Cooking. So at a recent Tailgate Thursday, we decided to give ember cooking a try and make Rubel's Roasted-Eggplant Spread. 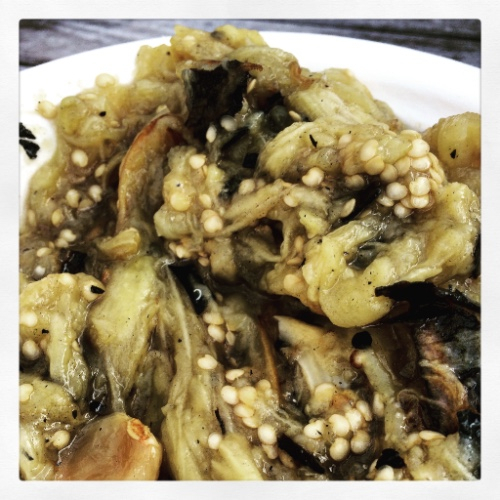 The roasted eggplant had so much flavor on its own that only 3 other ingredients were needed for this delicious dish. We're now looking forward to trying other ember prepared meals as well. Prepare your grill with a mature fire, moderate to high flames, and a substantial bed of embers. Spread embers beside the fire and place the eggplants on the embers 2-4 inches from the flames. Roast for 4-7 minutes on each side. 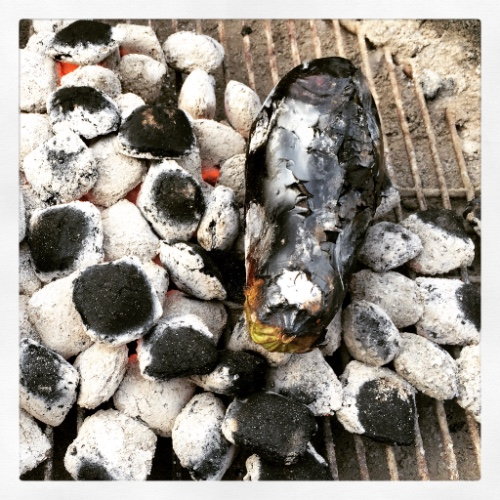 The eggplant should now be charred on all sides and very soft. When the eggplant is cool, use a dull knife and split it open lengthwise. Spoon the pulp into a measuring cup and discard the charred skin. You should have at least 1 cup of pulp. In a mortar, pound the garlic into a smooth paste. Combine the paste, eggplant pulp, and olive oil, and season with salt. Mix thoroughly. If the eggplant yeilded more than 1 cup pulp, adjust the other ingredients proportionately. Serve immediately or make ahead. Pair with Stinson Vineyards 2014 Cabernet Franc and enjoy!